The Adverse Drug Reactions, Drug Interactions and Pharmacovigilance course is a one-week module of the MSc in Experimental Therapeutics. Offered by the Department of Oncology and the Department for Continuing Education, the teaching will be led by Dr Michael Theodorakis, Radcliffe Department of Medicine, University of Oxford, and will feature face-to-face lectures and tutorials from some of the country's leading clinicians and scientists. The module can be taken as a stand-alone short course. It includes group work, discussions, guest lectures, and interaction and feedback with tutors and lecturers. Please send me an email about future Adverse Drug Reactions, Drug Interactions, and Pharmacovigilance courses. We anticipate that this course will be held at the Department for Continuing Education premises in Oxford - either in Rewley House, Wellington Square, or at our Ewert House location in Summertown. The location will be confirmed later in the academic year. Short course participants who do not wish to undertake the assessed work required for academic credit but who do satisfy the course attendance requirements will receive a certificate of attendance. The sample above is an illustration only, and the wording will reflect the course and dates attended. Potential sources of funding for courses in Experimental and Translational Therapeutics. Dr Theodorakis is a Senior Clinical Researcher at the Diabetes Trials Unit, Oxford Centre for Diabetes Endocrinology and Metabolism, University of Oxford. He is the Clinical Lead of large scale clinical trials and Principal Investigator on early phase studies with the Translational Research Group at the Oxford Biomedical Research Centre. He is also an Honorary Consultant Physician in the Oxford University Hospitals NHS Foundation Trust. He has served in the past and continues to serve as a Member of Committees at the European Medicines Agency and other EU Commission workgroups, along with his continuing membership in many prominent professional societies and scientific associations in Europe and the US. Dr Theodorakis has long been involved in clinical research and has been especially active in translational research, focusing on innovative pharmacological design and development of novel compounds for human use. enable students to understand and use pharmacovigilance methodologies. The course will be taught by a range of scientists leading these areas of research, and there will be significant time programmed to discuss the scientific and sometimes ethical issues raised by this area of medical research. It will include group work, discussions, guest lectures, and interaction and feedback with tutors and lecturers. 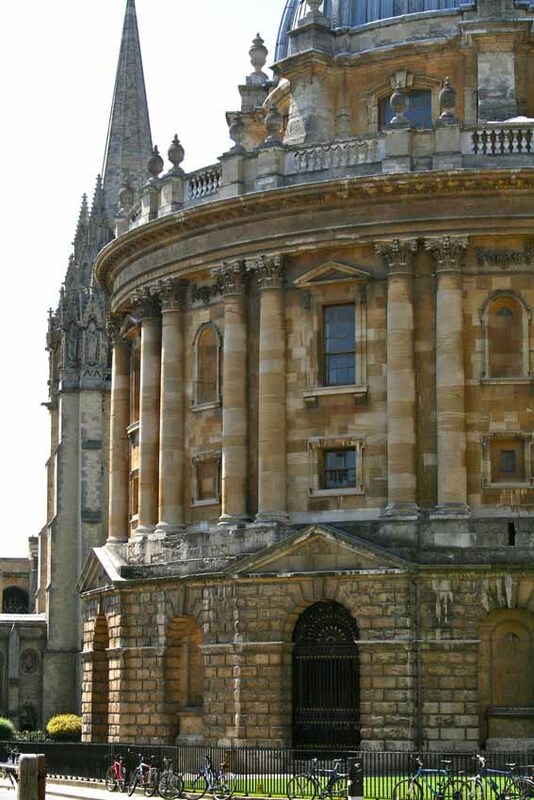 A virtual learning environment (VLE) and access to some of the University of Oxford’s online resources will provide support for those taking the course for credit. Assessment will be based on submission of a set written assignment, not exceeding 4,000 words. The assessment is only undertaken by those taking the course for academic credit. Those wishing to may apply to take the course with accreditation. The University of Oxford Department for Continuing Education offers Credit Accumulation and Transfer Scheme (CATS) points for the course. Participants attending at least 75% of the taught course and successfully completing assessed assignments are eligible to earn credit equivalent to 20 CATS-equivalent points which may be counted towards a postgraduate qualification. Application deadline: two weeks before the start of the course. This course requires you to complete the online application form (please press the 'Apply' button on the top right pane), and submit a copy of your CV as an attachment as part of your application. If you are applying to take this course for academic credit you will also need to complete section two of the reference form and forward it to your referee for completion, to return to expther@conted.ox.ac.uk. Please note that if you are not applying to take the course for academic credit then you do not need to submit a reference. The course will appeal to health professionals from a wide range of backgrounds, including: qualified doctors, especially specialist registrars in clinical pharmacology or in training for other medical sub-specialities; clinical research fellows; pharmacists; nurses; graduates working in the pharmaceutical industry or in academic clinical trials.